Regardless of the species of forage plants, trees or livestock, principle of silvopasturing remain the same: each is managed together in a symbiotic, synergistic and sustainable system. 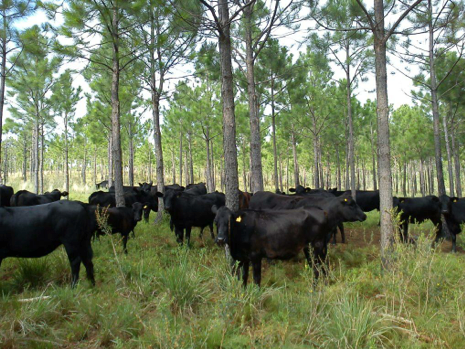 Silvopasturing is the sustainable (long-term) production of timber, forages and livestock on the same land. Silvopastures are dynamic, symbiotic and intensively managed grazing systems. Scattered shade trees in a pasture, loafing areas to escape the heat and flies, or dense woods with sparse understories of edible plants are not silvopastures. In silvopasture systems, no resource (trees, forages, livestock) is managed to the detriment of the others. 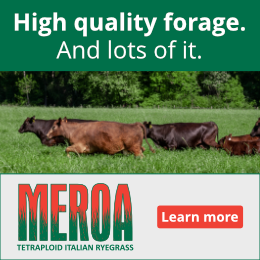 Unlike woodland grazing of the past, animal impacts are controlled through intensive rotational grazing and the land is allowed to adequately rest and recover between grazing periods. The quality of a silvopasture is largely a reflection of the nutritional value and availability of edible woody (browse) and herbaceous (forage) plants in the understory. Open wooded areas that have not been managed as silvopastures often have lush vegetation in the understory, relatively little of which may be suitable livestock feed. This is largely due to the persistent, selective browsing by deer of the “good stuff” while ignoring the less-palatable “invasive” plants. 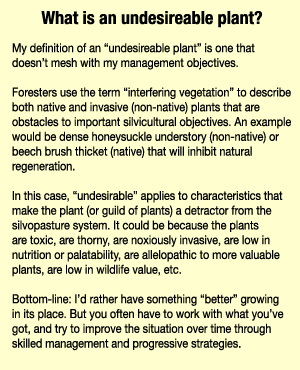 Therefore, silvopasture managers must be able to recognize plant species and their relative feed value, as well as methods for shifting understory plant communities to a more desirable composition for grazing purposes. Silvopastures can be a good source of shade and lush forages during the hottest times of the year. Silvopastures also offer a diverse smorgasboard of browse and forages that can improve animal health and performance. Silvopasture can be created from one of two directions: adding woods to the pasture, or pasture to the woods. Developing productive, quality silvopastures in wooded areas can be thought of as a three-step process: 1) Allow sufficient sunlight to reach the ground by thinning both the main tree canopy and the intermediate strata (lower trees and shrubs); 2) Establish desirable plants through natural or artificial methods; and, 3) Manage the silvopastures to promote the growth of the desirable plants, while discouraging the growth of the undesirables. 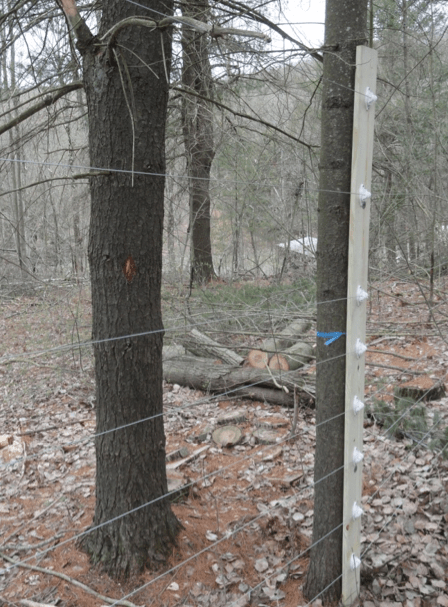 Low-quality “firewood” trees can be utilized as “living fence posts” to save significantly on fencing costs. Insulators should always be attached to a durable batten – not directly to the tree. The batten is attached to the tree at two or more points, using a fender washer under each nail head. As the tree grows over time, the batten and nails will be pushed outward. The first step is to reduce the density of trees in the overstory to allow sufficient sunlight to reach the ground. Silvopastures can be thought of as “three-dimensional” where the tall woody plants (trees) intercept part of the available solar energy needed by the shorter plants (grasses, forbs, shrubs, etc.). Sound silvicultural practices should be utilized to thin the trees, favoring the “best” individuals. Culling the less desirable trees to concentrate more growth (through more space and sunlight) on the best individuals will optimize the value and health of the silvopasture’s timber component over time. It also ensures that the best tree genetics remain at the end of the life cycle to regenerate a productive future forest. Determining just how many and which trees to leave requires careful consideration of multiple variables. Examples include: the initial stocking of acceptable trees; economics; the solar energy requirements of the target forages (there is a significant range of shade tolerance across forage plant species); the quality of the growing site; livestock densities and grazing pressure that can be used to manage understory vegetation; forest overstory composition, stand structure and crown density; etc. Silvopasture thinnings usually require removal of smaller trees and shrubs, and management of the residual culled material (known as “slash”) to be successful. Independent consulting foresters can be an invaluable resource for their expertise on how to select trees and implement a feasible thinning. For advice on how to work with a consulting forester, visit the “Publications” page of Cornell’s forestry extension website: www.forestconnect.info. Once tree density has been reduced sufficiently for the productive growth of moderately shade-tolerant forage species (as a general rule of thumb, this is achieved at approximately 50% visible sky when looking up into the main canopy), then the next step is to establish desirable plants in the understory. In the case of silvopastures, “desirable” can be thought of as plants that are palatable, nutritious, and persistent over most or all of the growing season. Woodlands that are surrounded by pastures and field often have a seed bank that will express itself given the right conditions (increased sunlight and soil disturbance), but artificial seeding may enhance and accelerate sward establishment. Artificial seeding, however, usually has to be done via broadcasting and its success is therefore subject to seed/soil contact, moisture and other variables. After broadcasting seed in a silvopasture, it may help to briefly graze the area with high livestock density to incorporate the seed. 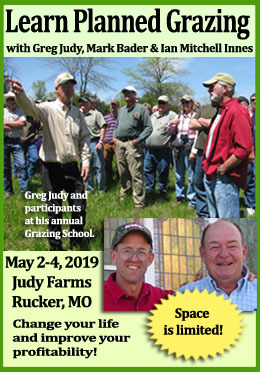 Little is currently known about the shade tolerance of commercially available forage varieties, so a diverse mix of species and varieties is recommended if investing in supplemental seeding. Also note that most forage species will struggle to germinate in heavy, undisturbed leaf litter, so some sort of soil scarification and incorporation method is necessary. An example would be to drag tree tops across snow-free ground during a logging operation. The third step to successful silvopasture creation is that once adequate desirable plants are established, the system should be managed to encourage their growth – while discouraging the growth of undesirable plant species. In most areas of the country today, a variety of problematic plants will aggressively “invade” freshly-disturbed (thinned) woodlands. 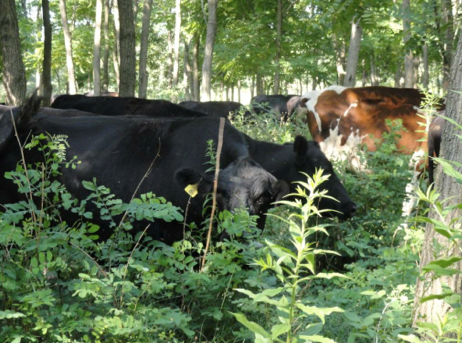 A combination of site- and operation-specific methods can help hold nuisance plants in check without inhibiting the growth and proliferation of quality forage and browse species. The fundamental method is grazing, where the grazing impact (timing, duration, frequency, interval and density) is skillfully managed to achieve the right balance. 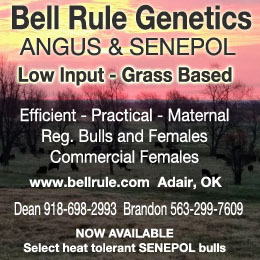 Examples of other methods include: chemical control, mechanical control, controlled burning, and mob grazing with livestock. Goats and pigs can be particularly effective under the right circumstances, but the labor and learning curve required for successful implementation should not be underestimated. Caution should also be used to avoid chronic disturbances (such as annual heavy rooting by pigs) in silvopastures, which will eventually lead to declined tree health and quality. Silvopastures can provide more than just quality grazing for livestock. 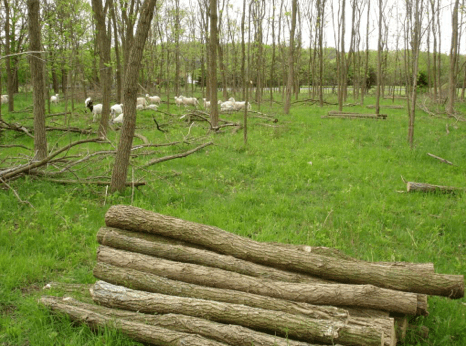 This Black Locust plantation has yielded fence posts with a wholesale value of over $1500/acre – and the best trees still remain for future harvests. Keeping in mind that a silvopasture system is sustainable (can be perpetuated over time) a strategy will eventually be needed to regenerate trees. Options for forest regeneration are diverse and will depend largely on whether the timber component is managed as an “even-aged” or “uneven-aged” system. Even-aged management works well when the trees species are primarily shade-intolerant (most tree species require full sunlight to develop beyond the seedling stage). In this situation, regeneration can be thought of as an event that occurs in the life cycle of the forest stand. 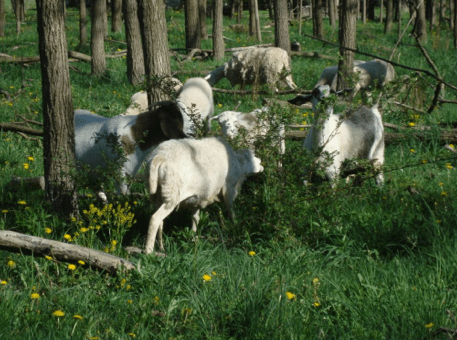 Creating the conditions for regeneration and protecting young regeneration from livestock and wildlife damage is not necessary until the regeneration phase of the silvicultural cycle is reached. At that point, the paddock fences that keep livestock in can also serve to exclude animals and allow large blocks of forest to be regenerated. The exclusion period may range from a couple of years to a couple of decades, depending on forest type, livestock, and other factors. Uneven-aged management works best when the forest component of the silvopasture is composed largely of shade-tolerant species (sugar maple, beech, hemlock, spruce, some firs, and a handful of other trees). Shade-tolerant tree species can develop well under the semi-open canopies of productive silvopastures, but they will still need protection from livestock and wildlife damage. Small exclusions or even individual tree protection could be effective and cost-effective to protect young trees being periodically recruited for the next generation. Is Your Multi-Wire Fence Too Much For Your Charger?